1. The Bollywood directors have an issue with the Censor board because of the ‘Smoking Kills’ disclaimer they have to incorporate every time an actor smokes on screen. They say it interferes with the aesthetics of the scene. They are fighting for its removal. Honestly guys, if your audience can ignore the bad actors (without an ounce of acting skills), their bad diction, pathetic story and inappropriate item songs…they can very well ignore this. Chill. 2. The actors have a problem with the media prying into their personal lives and speculating their relationship status. You guys sell pictures of your new-born babies in millions and you have a problem with this??? Besides everybody is interested in everybody else’s life. Facebook wouldn’t be so popular otherwise. I mean even posts like ‘Mandar Weds Neelam’ at Shastri Hall in Kandivali gets 100 likes. Not to forget the 323 likes they get when they post pictures of their ugly baby saying “My bundle of Joy! !” You guys make money out of it. So be happy. 3. A fat actress in an interview complained that the audience wasn’t very accepting of ‘fat’ heroines. They wanted a stereotypical body. Well lady…who built these stereotypical body images in the first place How many bar dancers are hot as Deepika Padukone in the movie ‘Happy New Year’? Who introduced the 36-24-26 scale? Which 60 year old widow from a village has shaped eyebrows? (This has happened). As you sow, so shall you reap! 5. 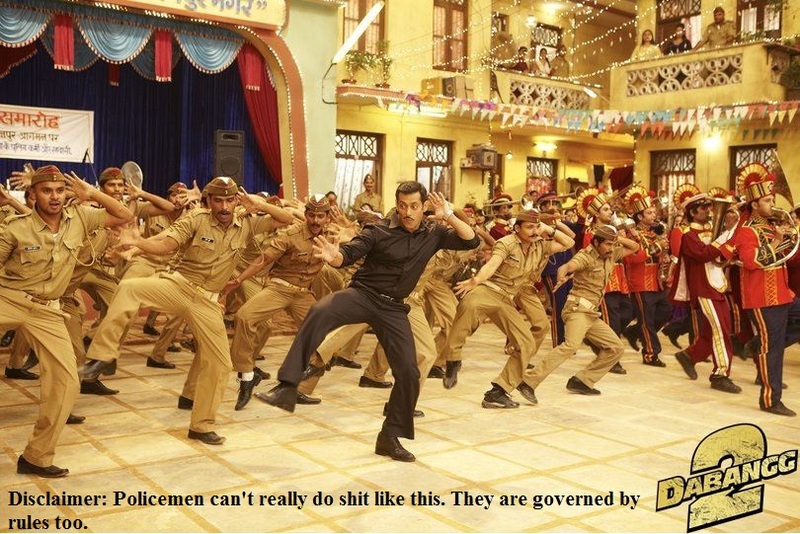 Bollywood considers Bollywood to be the most innocent of all. One industry-guy wrote about the overwhelming generosity of the actors, who did the mega, back-breaking, sweat producing act of tweeting about earthquakes in theor air-conditioned cars. Who cares if some guy on the streets died…the guy behind the wheels had to get home urgently, his bladder was bursting! !So how dare they send him to jail. But what can I say, let them do what they want to do…..Its none of my business. p.s. Meanwhile in France, the Gauls are worried that the sky is falling!